Normally, where will you surfing? home? work place? cyber cafe? school? or computer lab? More than 10 years ago, I still remember there was not really much choice for internet providers. The 2 dominant internet providers were TMnet and Jaring. Sound familiar? If really, then you must have try this 2 internet providers before. If not, just go to google and goggle it. At that time, the speed of internet connection just up to 56 kbs and with the old type dial up modem. Till now I still can remember the sound when the modem started to dial up. Due to old technology, the connection to the internet had just limited to the home, table and seat. You can't even move away from the dial up modem to connect to the internet. So, that time we really do not have much choices to choose our favourite surfing spot. However, now is totally different. We have WIFI now which allow us to online in any places. 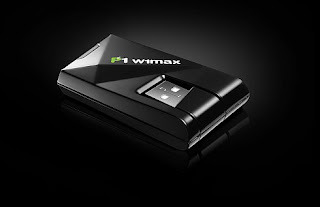 Just with a WIFI modem or broadband like P1 w1max, we can just online in any place. You can choose the place and spot you like to online. You can just carry your laptop to anywhere to online. My favourite surfing spot is on my own bed. Why? I can surfing and lying on the bed comfortly. Where you can find the other place as so comfortable than your bed? The other adventage is I can even sleep on bed if I feel tired or sleepy. You can say I am lazy but I really love to online on my bed. When I am not at home, I prefer to online in Big Apple. I can enjoy my favourite coffee and donut while surfing the facebook. Share my feeling and mood with everyone from the world. With the nice environment in Big Apple, I can really enjoy the joy of surfing the internet.